NOTICE: PLEASE NOTE, OUR AT HOME RENTAL SERVICE HAS BEEN SUSPENDED AND IS DUE TO REOPEN SOON. 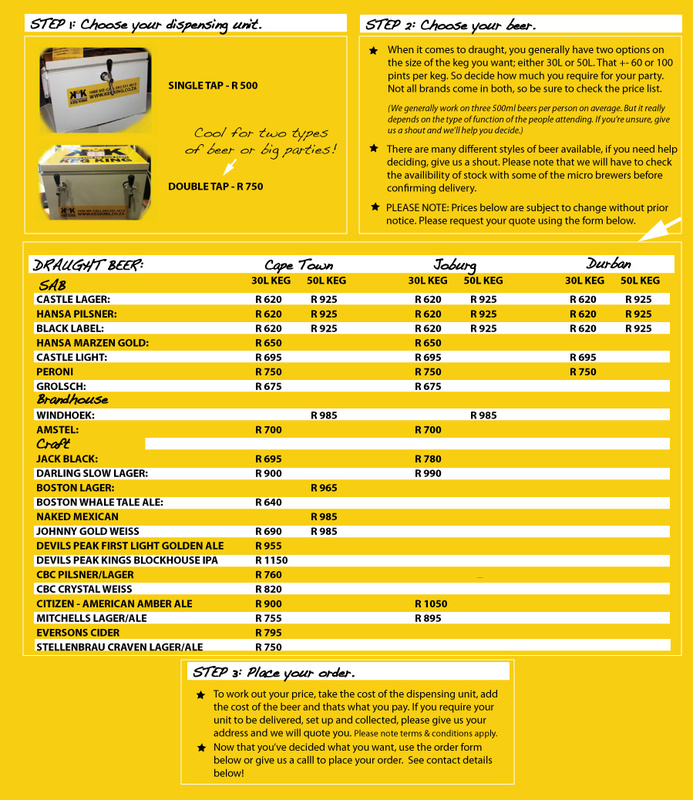 PLEASE SEND US AN EMAIL TO INFO@KEGKING.CO.ZA SHOULD YOU WISH TO RECEIVE A NOTIFICATION OF RESUMPTION OF SERVICE. WE APOLOGISE FOR ANY INCONVENIENCE.